April | 2014 | Mike Lamberti, From Margate To Cleveland, And Back ! Livingston’s tremendous high school softball program has been a result of a lot of hard work on the part of its players and coaches, not to mention a very successful youth program within the town. But what sometimes can be forgotten is that the players who wear the Black and Green of what I like to call the ‘Big Green Machine’ are also very good students. So with that said, it’s nice to write articles like this, as two of the Lancers’ top senior players, Alexa Altchek and Kylie McLaughlin, will be honored at the prestigious Men of Essex Dinner on Wednesday, May 21. The dinner will be held at Newark Airport’s Marriott Hotel. This will be the 56th annual Men of Essex Dinner, which honors the best of the best for high school student-athletes within Essex County. Last year, Livingston pitcher Jess Peslak was bestowed the organization’s highest honor, The Essex Award, for her outstanding achievements in the classroom and softball field. 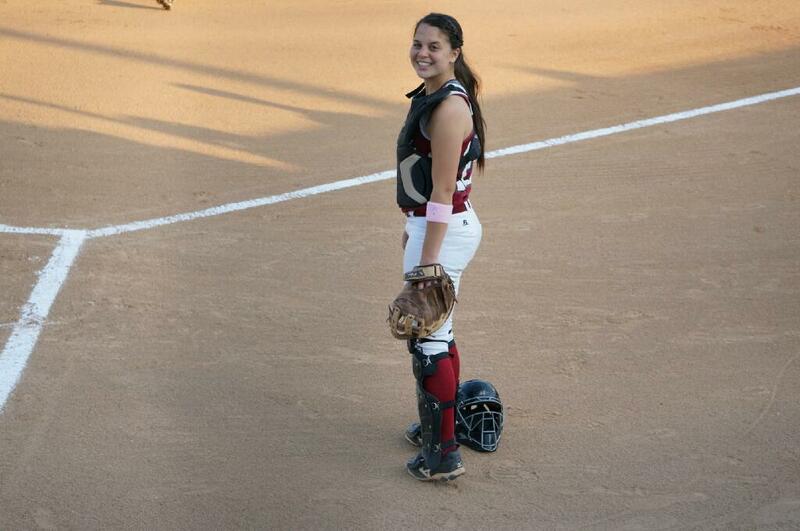 Peslak is now a freshman pre-law student and a member of the softball team at Hofstra University. 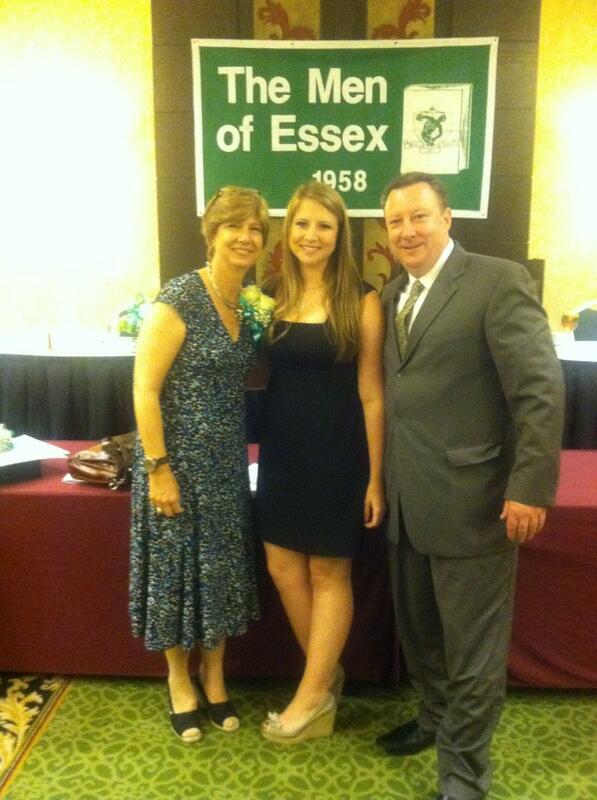 Jess Peslak, with her parents Jean and Ed, at last year’s Men of Essex Dinner. This will be the second straight year that McLaughlin will be honored by the Men of Essex as the county’s outstanding athlete for softball. It will be the first visit for Altchek, who was named a Men of Essex Scholar Athlete. To be facetious for a minute, Altchek is struggling to find a college to attend. The affable senior announced early in the school year that she’ll be attending Harvard University this fall, where she plans to play softball. Altchek, the daughter of Meryl and Mo Altchek, is a speedy outfielder for the Lancers. She played right field for last year’s Super Essex Conference (SEC), Essex County Tournament (ECT) and state sectional title team. This year, she’s been the regular center fielder as McLaughlin was moved to second base. As for McLaughlin, who is a tremendous soccer player as well, she plans to attend the University of Delaware this fall. McLaughlin, the daughter of Jill and Dave McLaughlin, has a 4.0 GPA. In addition to being a member of the National and Spanish Honor Societies, she is an Ambassador of the Big Brother and Sister program. An All County player in soccer, as well as a two-time All State softball player, she has been a big part of Livingston’s success on the softball diamond. Since 2012, Livingston has put together a 66-7 record (through games of April 28). In addition, the Lancers are 52-1 against Essex County-based teams since the start of the 2012 season. The program has won back-to-back SEC, ECT and state sectional championships and has gained the top seed for this year’s ECT, where it hopes to become the first team to win three straight titles since Caldwell accomplished the feat from 1986-1988. Caldwell has drawn to within a game of .500 after two impressive wins this week against Newark Academy and Passaic Valley. Coach Mike Teshkoyan’s team was 7-8 after winning at Passaic Valley. It has been spurred by the return of its leadoff hitter and crafty shortstop, Gianna Genello (AKA, Smarty Jones), as well as the pitching of Genello’s classmate, junior Cayla Lombardi. Cayla Lombardi has pitched her two best games of the season this week, according to coach Mike Teshkoyan. Genello is a speedy slap hitter who will more than likely rewrite the Caldwell High School softball record books. According to Teshkoyan, she hurt her leg in a game against Nutley, then missed some action, before coming back to play in Monday’s win against Newark Academy. Her presence at the top of the lineup is key to Caldwell’s offensive success. She’s also a tremendous defensive player. And Lombardi continues to sparkle in the circle for the Chiefs. An injury in 2013 kept her out of the lineup for most of the season, but she’s showing a lot of confidence now, mixing in off speed stuff with an improving fastball. Caldwell has struggled a little in the Super Essex Conference’s American Division, but the Chiefs are gaining a lot of power points for the NJSIAA tournament and could garner a pretty high seed. The Chiefs seem to be buoyed by its recent success and are looking toward what could be a good run in the Essex County Tournament. Caldwell was seeded sixth for the ECT and will play 11th seeded West Orange in the first round. A win there could put it into the quarterfinals opposite big time rival West Essex, or perhaps Belleville, if the Bucs upset the Knights in a first round game on Saturday. Speaking of the SEC, last Monday’s crossover day between SEC American and Liberty opponents turned out to be a landslide for the American. Livingston, Mount St. Dominic, Nutley, Caldwell, Montclair, West Orange and Cedar Grove all won its games against Bloomfield, Columbia, Verona, Newark Academy, Millburn, Glen Ridge and Belleville, respectively. Bloomfield catcher Victoria Ross is now an official FMTC ‘stud’, dubbed Sea Biscuit. 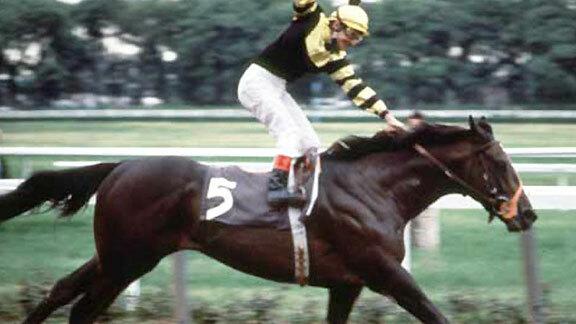 She threw out Seattle Slew (Kylie McLaughlin) attempting to steal second base on Monday, which is almost unheard of. Ross will be attending Manhattan College in the fall, where she’ll play D-1 softball. Bloomfield’s Victoria Ross, the new Sea Biscuit. Don’t feel too bad for Slew, however. She hit a long homer in the third inning of the game with Bloomfield. The ball cleared the centerfield fence at Clark’s Pond, went through the woods and ended up on the base of the pond. 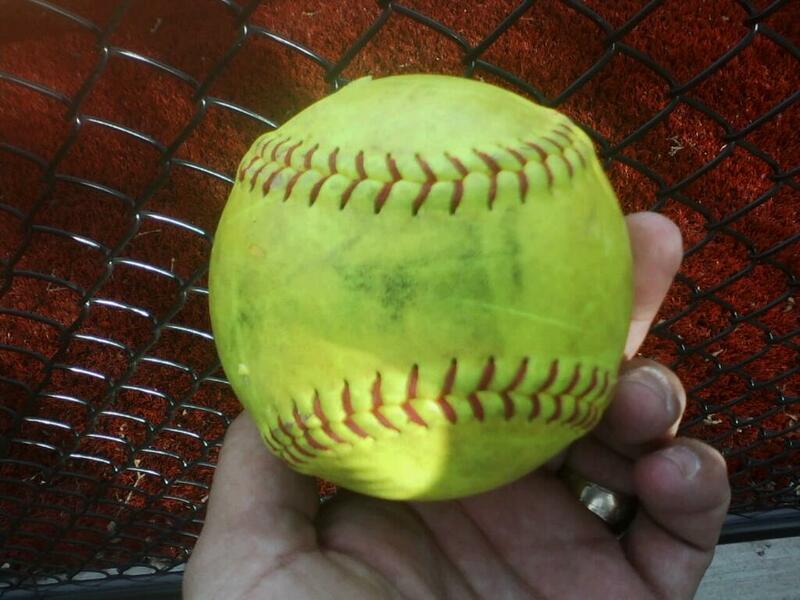 An able body person retrieved it and gave it to her after the game, which Livingston won, 17-8. 39 consecutive scoreless innings, with 13 hits allowed. Scary numbers for the Mount St. Dominic Academy Lions, which will take a 14-2 record into another big week of Super Essex Conference play, along with a game on May 3, against the state’s top team, Immaculate Heart Academy, in Saddle Brook. Since it last lost a game on April 12 to a team from Ohio at the Wendy’s Classic, MSDA has outscored its last seven opponents by a combined 61-1, through games of April 26. That offense has been paced by Helyna Bissell, who had five homers and 14 RBI. And you can’t pitch around Bissell, because the Lions’ offense is loaded. It features Elizabeth Cowell, Ashley Kowalski, Sam Platt, Olivia Gemma and Gabby Lombardi, all of whom swing the bat with effectiveness. 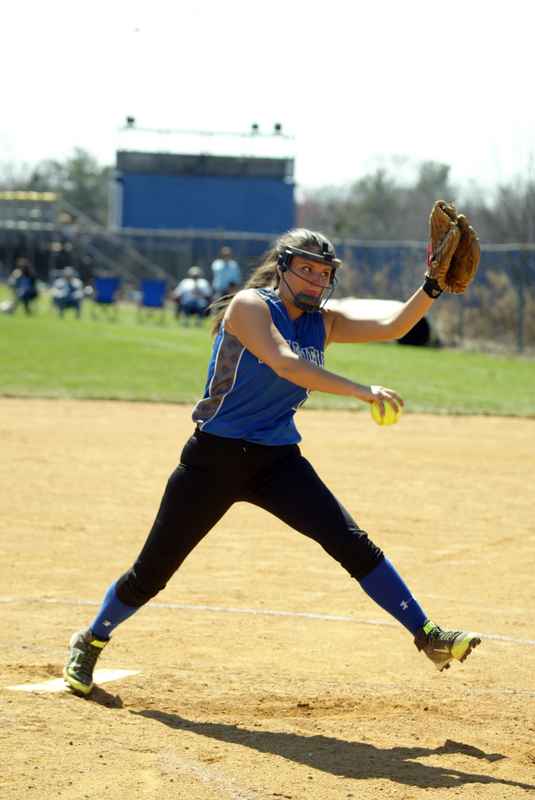 And starting pitcher Kelsey Oh hit a grand-slam homer in a recent win over West Essex. How about the defense? The answer there is simple. Not fancy, but so effective, with players seemingly always in the right position. And pitching? Are you kidding? This team probably has the deepest pitching staff in North Jersey, with Oh, a hard-throwing freshman, seeing a lot of time in the circle, but there’s also Ms. Platt, a senior who has plenty of experience in big games and Gemma, who was the starting pitcher as a freshman when MSDA made it to the Essex County final. While the Stevens Institute of Technology-bound Gemma hasn’t seen a lot of time in the circle in 2014, she starts at first base and is a main cog in the lineup. And she could be a huge factor in the circle, too, come tournament time. But back to the pitching, which has been tremendous all season, and nearly untouchable during the recent winning streak. After blanking a very good Middletown South team on April 26, the Lions pitching had accounted for 39 consecutive scoreless innings and just 13 hits allowed. Only Nutley was able to score a run on the Lions in the fourth inning of an eventual 6-1 MSDA victory on April 16. As good as they’ve been, the Mount is seeded second for the upcoming Essex County Tournament to Livingston, which handed MSDA one of its two losses this season. The Lancers have also won the past two Super Essex Conference and ECT championships. The teams are scheduled to meet on May 2 in a SEC game. A third matchup could occur on May 17, in the county final, which would mark a third straight ECT championship matchup between the two schools. For Mount St. Dominic, coached by Lorenzo Sozio, it will be seeking its first county title in five years and fifth overall under Sozio’s leadership. It also has its sights on that elusive NJSIAA title, as well, in Non-Public A. And while there’s a lot of softball yet to play, a combination of tremendous pitching, timely hitting and opportunistic defense will make these Lions a tough group to beat, especially in big games. TID BITS: Livingston has some kind of week ahead, with five games in six days. The Lancers play at Bloomfield (April 28), home to Wall (April 29), at Nutley (April 30), home to Mount St. Dominic (May 2) and a first-round home county tournament game on May 3. They also have to make up a home game with Nutley, which was postponed because of rain in early April, to be made up sometime in May. While the SEC American Division is a two-team race between Livingston and The Mount, the SEC Liberty Division is wide open. Verona swept Glen Ridge in the season series, Glen Ridge had a big win over Bloomfield and swept Belleville, Newark Academy may be back on the trail now after a huge win over Columbia and suddenly Belleville is in the mix, after wins against Newark Academy and Bloomfield. Belleville, coached by Chris Cantarella, had a big game on April 28 in a SEC crossover contest against Cedar Grove. Montclair Kimberley still hasn’t played a lot of league games, so they’re certain to make some noise, either as a contender, or spoiler, over the next month. STUD UPDATE: No new studs to add to the Essex stable this week…But gotta stay that while High Point is not the FMTC Network, Ally Frei has to be called Citation. Unbelievable pitcher. Mike Gemma walked by the first base line in the fourth inning with a nervous smile. Clad in a West Essex-red wind breaker and Mount St. Dominic blue pants, the father of MSD senior Olivia and West Essex freshman Madison, was clearly apprehensive about his daughters playing softball against each other. Tim is Tim Purcell, whose twin daughters, Eileen and Jamie, played softball against each other for four years at Nutley and Mount St. Dominic, respectively. During the twins’ high school days, Nutley and the Mount would play six SEC games, as well as the 2011 Essex County Tournament championship game, when Eileen’s Raiders beat Jamie’s Lions, 3-0. Afterward, a noticeably emotional Tim admitted it was hard to root for one team, even in a championship game setting. Fast forward to 2014, and Mike and Angela Gemma were well aware that this day was coming, when their daughters would play against each other in what I called ‘Gemma Bowl I’. To add to the intrigue was that today, Madison would make her varsity debut as a pitcher, in a relief role, and faced her older sister. Mount St. Dominic would coast to a 13-0 win over West Essex in five innings. After the game, Angela mentioned to her husband that Olivia would be driving Madison home. Earlier in the game, Olivia had hit a fly to right field which Madison caught in a swirling wind. As for the game, Mount St. Dominic pitcher Kelsey Oh was dominant in the circle, and then helped her own cause with a long grand-slam homer over the right centerfield fence in the third inning, when the Lions scored 11 times to put the game away. With Mount St. Dominic (13-2) and Livingston (11-2) both winning today, it clearly puts those schools far and away from the other teams in Essex County softball, especially with the ECT about to get underway. Mount St. Dominic’s win today was its seventh straight. During that run, they’ve outscored their opponents, 60-1. Livingston’s win over West Orange today improved its record against Essex County teams to an unheard of 50-1 since the start of the 2012 season. At this point, it seems likely that the Lancers and Lions will meet for a third straight year in the county final. The last time two schools met on three consecutive years in a ECT championship game was from 1986-88, with Caldwell and Belleville. But what makes the ECT so much fun is that anything can happen. In 2008 and 2009, Mount St. Dominic had defeated Cedar Grove in the championship game. In 2010, those two seemed certain to meet in the ECT semifinals, but West Orange stunned the Mount in the quarters and Cedar Grove would go on to win the title. Two years ago, Newark Academy advanced to the semifinals, defeating defending champ, Nutley, in the first round. Last year, Bloomfield made it to the semis. West Essex (8-5) the third seed in this year’s ECT, struggled in back-to-back home games against Livingston and Mount St. Dominic. Nutley, the fourth seed, is having its share of early season struggles, falling to 8-6 after a 10-3 loss to West Morris Central today. Gemma Bowl II will come in a second Super Essex Conference matchup, at the Mount, next month. A third game could occur on May 16, in the ECT semifinals. Riding a six-game winning streak, West Essex felt pretty good heading into its Super Essex Conference game against powerful Livingston on April 24. But Kylie McLaughlin set the tone, like Seattle Slew has done so many times before, when she led off the top of the first with a single, followed by two stolen bases and a West Essex throwing error which gave Livingston, No. 1 in the FMTC Top 10, a quick 1-0 lead before a young West Essex team knew what hit it. Four innings later, it was over early, as Livingston (10-2) scored 11 times in the fourth and ended with a 14-0 victory. While McLaughlin was 3-for-4 with two runs scored, three stolen bases and an RBI, the Lancers also got big contributions from Ana Chambers (2-for-3, two runs scored, two RBI), Allie Beinhacker (2-for-3, two runs scored, a double and RBI) and Nina Petrillo (2-for-3, 3 RBI and a run scored). The offensive explosion was more than enough for winning pitcher Sami Passeri, who continues to get better with each start. The junior righty scattered three hits and struck out four while walking one, which was the leadoff batter in the bottom of the first inning. A day earlier, Passeri had struck out a career high nine batters in six innings of work against Cedar Grove. Livingston coach Jason Daily has seen a steady improvement in Passeri’s work in the circle. West Essex (8-4), which starts as many as five freshmen, was clearly on its heels after Livingston had gained a 2-0 lead in the first inning. The Knights committed seven errors in the game, which accounted for eight unearned Livingston runs. Courtney Mensch, Madison Gemma and Bridget Betley had hits for West Essex. The ‘next game’ is on April 25, when the Knights welcome another outstanding team in Mount St. Dominic. The two teams haven’t met, yet, this season, while the Knights have already played Livingston, twice. West Essex pitcher Sami Huetter battled throughout today’s game and was upbeat afterward. Daily had a lot of praise for West Essex. “This was a 2-0 game in the fourth inning,” said Daily, whose team is now 48-1 against Essex County teams since the start of the 2012 season. “They’ve got a lot of talent. Their leftfielder (Jenna Salluce) made a sick (meaning a very good) throw (to third baseman Rose Pezzuti) to get one of our runners tagging to third. We were being aggressive on the basepaths and their kids responded. Obviously, it’s a little past that era, but the studs will be on display this afternoon in North Caldwell when Livingston, led by Kylie McLaughlin (Seattle Slew) and Sammi Rothenberger (Riva Ridge) take on up-and-coming West Essex, which has an outstanding pitcher in Sami Huetter (Canonero II), along with a balanced attack of youngsters and experienced varsity players. 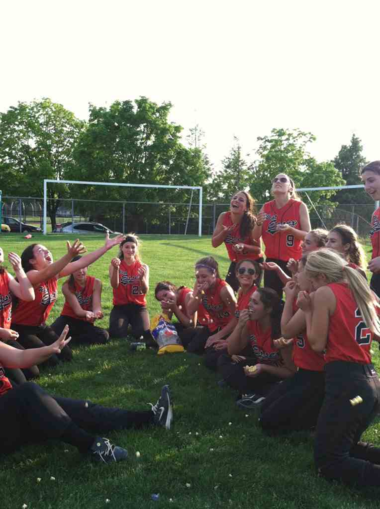 West Essex players hope to get their popcorn ready today, at home, when Livingston arrives. 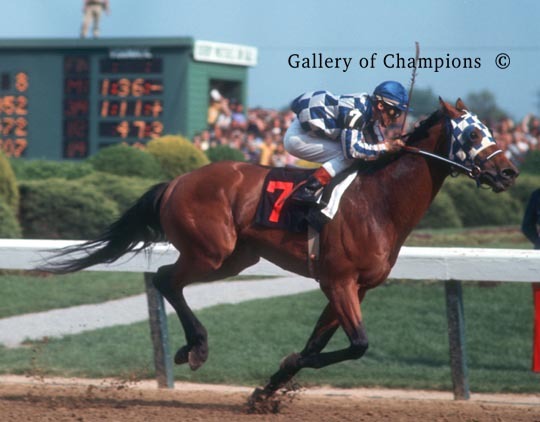 And while I like to kid around about teams with stud players and attach a horse name to them, bottom line is this is a really interesting matchup between two outstanding teams. When they met in the season opener on April 1, at Livingston, the Lancers prevailed, 9-1. But Livingston coach Jason Daily knows full well how good West Essex has gotten since that game. The Knights haven’t lost to an Essex County-based team, since, and have garnered the third seed for the upcoming Essex County Tournament. West Essex, coached by Andrea Mondadori, is 8-3 while Livingston is 9-2, including a mind-boggling 42-1 record against Essex County teams since the start of the 2012 season. 42-1? That’s almost unheard of, especially considering the level of talent in the Super Essex Conference’s American Division. West Essex may not have that gaudy a record, but it has won six straight this season, beginning with a win over April 13, when the Knights, which had lost two straight via shutout a day earlier, found its offense in the fifth inning of a game against a real good Ridgewood team. West Essex was seven outs away from losing a third straight game over 24 hours, by shutout no less, when Madison Gemma hit a two-out double, in her first-ever varsity game. The freshman’s hit spurred a big-time rally in the inning and West Essex went to beat Ridgewood, 4-3. So, get your popcorn, bubble gum, seeds, or whatever else you enjoy at a game, ready. This one will be fun. 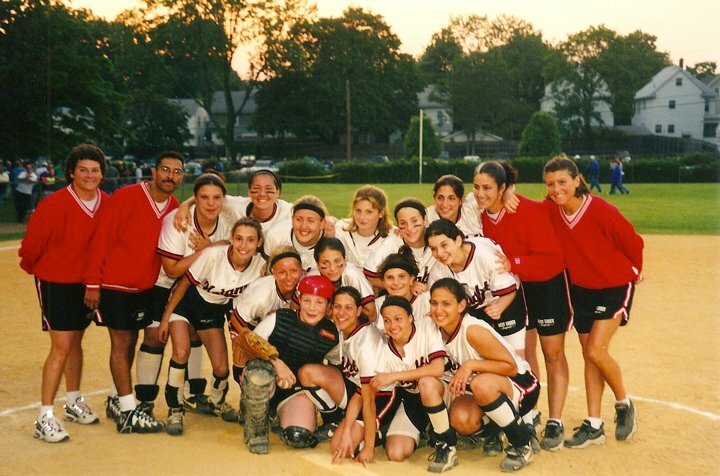 The 37th Essex County Softball Tournament will commence this weekend with play-in games. The ECT has become a very exciting tournament over the years. Let’s take a look at some frequently asked questions by fans of the tourney, as well as the 25 things you need to know about the tourney’s storied history. 1-How are the seeds decided? Generally, a committee of Essex County coaches will vote on the seeds. That meeting was held on Tuesday, April 22, with coaches from the various divisions of the Super Essex Conference (SEC). 2-Are there parameters in deciding a seed? Good question. For the most part, there seems to be a weighted respect toward the Super Essex Conference’s (SEC) American Division, which comprises the ‘stronger’ teams in the league. There is also credence toward teams that play a more rugged out-of-conference schedule. The head-to-head matchups are always discussed and usually are a deciding factor in seedings. This year, there are so many dynamics in that category, as far as teams beating other teams, but maybe not having as good a record. 3-Nutley seeded 4th, Glen Ridge 5th and Caldwell 6th? In my mind, there was no question Nutley was the fourth seed. Glen Ridge being tabbed fifth is a very interesting choice and it’s nice to see the Ridgers in the upper bracket of the tourney. Great call. The Caldwell Chiefs have long had a winning program and their American Division schedule obviously gave them a lot of respect among the coaches who seeded the tournament. Good calls, all around, by the coaches. This wasn’t an easy tourney to seed. 4-Will Mount St. Dominic be even tougher to beat this year? For sure, and that’s saying something. Mount St. Dominic’s excellence in the ECT speaks for itself. The Lions are tied for third, all time, in county championships with four crowns, the last coming on a back-to-back feat in 2009. It has won all of its championships since Lorenzo Sozio was named coach in 1996. The Mount has been to 11 finals, including the past three and six of the last seven. If it advances to this year’s final, it will tie Belleville for most appearances in a county championship game. 5-Will there be another Newark Academy-type run in 2014? Why not? Newark Academy’s rise from a team which had to play-in just to qualify in 2012, to beating defending champion Nutley and Caldwell to gain the ECT semis, represented a marvelous coaching job by Sergio Rodriguez. It doesn’t happen often. In fact, that run by the Minutemen was the first time a team in the play-in round made it to the quarters, much less the semis. But that also means there could be a team out there, not necessarily in the play-in round, but a double-digit seeded school, who could surprise someone, especially this season where so many teams are very young. 6-In 2013, I asked, will we see another ECT semifinal contest like the 2011 game between Nutley and Livingston? The answer was yes, thanks to Olivia Gemma’s heroics in 2013. It sure would be fun. The quality of the Final Four is certainly good every year, but there was something special about that game in 2011 at Ivy Hill Park, between Nutley and Livingston in the ECT semis. Peslak, a sophomore, struck out 14 for Livingston, but Kristen Mattia hit a 3-run homer in the fifth inning for Nutley after Livingston had gained a 4-0 lead. The Lancers appeared to have it under control in the bottom of the seventh, especially after Peslak fanned Mattia for the second out, but Lauren Iradi hit a seeing-eye, two-out, two-run single as Nutley won, 5-4. A day later, it captured the county final over MSD, 3-0. (Peslak has often said it was one of the best games she ever played in, and she lost). The 2013 semifinal between Cedar Grove and Mount St. Dominic was a classic, as MSD’s Olivia Gemma hit an epic homer over the centerfield fence to lead the Lions past the Panthers after it appeared Cedar Grove had the game in hand. 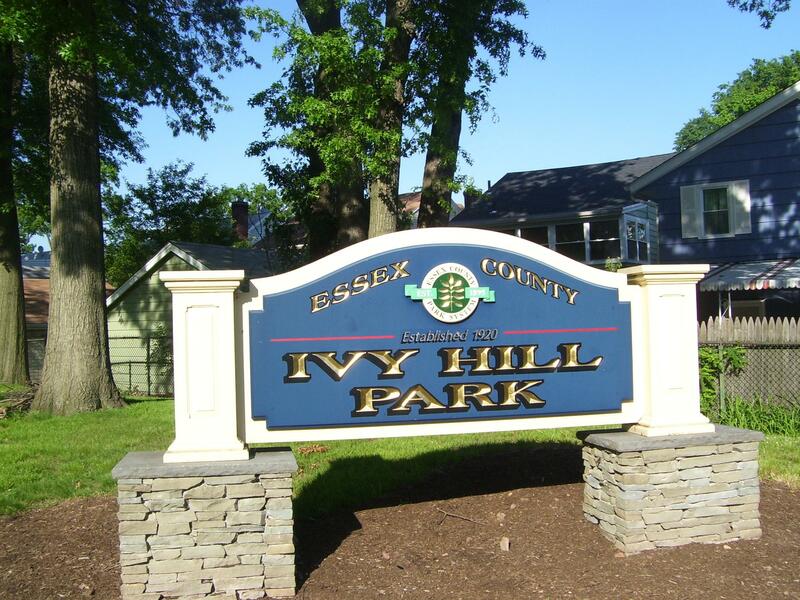 Essex County’s Ivy Hill Park will host the ECT semifinals and finals on May 17 and 18. 7-Where and when are the semifinals and finals? The semis are set for Friday, May 16 while the finals are the following night. Seton Hall University’s field at Essex County’s Ivy Hill Park will be the site for the semis and finals. The Knights gained the third seed, which was pretty obvious, based on its early-season performance. If form holds, it would play Mount St. Dominic in the semifinals while Nutley would take on Livingston. 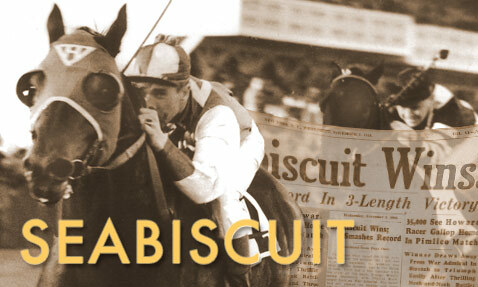 (Again, if form holds, and that’s not a guarantee). West Essex is young, but they were also very young in 2007 when it last won the championship. West Essex and Mount St. Dominic will meet this Friday in a SEC contest, as well. It’s a fun tournament, with some conversation and debate, but in the end, it’s for the kids to enjoy. Great job by the committee in seeding it so well for 2014, as has been the case in other years, too. Fans should see some good games between now and May 17. And don’t forget, while the ECT is playing out, teams are also vying for a SEC championship, too. This is the 37th ECT, so let’s look back at some facts and figures over the past 36 tourneys. 1-Caldwell won the first championship in 1978, defeating Bloomfield, 2-1. The Chiefs have the most championships with 10 and also boast the best record in championship games, 10-1. 2-Belleville appeared in nine county finals during the 1980s, winning three championships, including back-to-back titles in 1982 and ’83. Belleville made it to eight straight finals, a record which still holds, from 1982-89. The Buccaneers also won in 1989 and appeared in the 1998 and ’99 final. Belleville’s 12 appearances in the finals are the most by any school. 3-Livingston has won five county titles, including two straight while Mount St. Dominic and Cedar Grove are tied for third in overall championships with four each. 4-Livingston pitcher Jess Peslak had three of the most dominant performances in the ECT semis in recent memory. In 2011, she struck out 14 and actually lost in the seventh inning to Nutley, 5-4. The following year, she fanned 17 in a 9-0 victory against West Essex and in 2013, she spun a five-inning, no-hitter as the Lancers defeated Bloomfield, 12-0. 5-Before Livingston’s victory in 2013, Mount St. Dominic was the last team to repeat as champions, winning in 2008 and ’09, both at the expense of Cedar Grove. The Lions also beat the Panthers in the 2011 and 2013 semifinals. 7-Livingston’s ‘Seattle Slew’, Kylie McLaughlin, hit a rare inside-the-park homer at Ivy Hill Park in the 2013 semifinal against Bloomfield. She led off the bottom of the first with a shot that hit the center field fence and bounced past a Bloomfield outfielder, as the speedy ‘stud’ rounded the bases. 8-Cedar Grove was the first team to repeat as champion, doing so in 1980. At that time, the Panthers were led by pitcher Laurel VanDer May while its head coach was her brother, Ray, who returned to the helm of Cedar Grove in 2013. 9-Cedar Grove (1979-80), Belleville (1982-83), Caldwell (1990-91 and again 2004-05), West Essex (1997-98),Bloomfield (1999-2000), Montclair Kimberley Academy (2001-2002), Mount St. Dominic (2008-09) and current two-time champion Livingston are the schools which have won back-to-back titles. 10-Caldwell coach Mike Teshkoyan has the most championships with eight. Mount St. Dominic’s Lorenzo Sozio has won four, which is good for second overall. 11-Belleville-Caldwell (1986-88), Caldwell-Livingston (1990-91), Mount St. Dominic-Bloomfield (1995-96), Mount St. Dominic-Cedar Grove (2008-09) and Mount St. Dominic-Livingston (2012-2013 are the championship game matchups which occurred in consecutive years. A 2014 final between Mount St. Dominic-Livingston could be the first time teams meet three consecutive years in a championship game since 1986-1988. 12-Cedar Grove’s crowns in 1984 and 2010 represent the longest gap between titles for a championship team. 13-Nutley waited 18 years between titles. (1993-2011). 14-Belleville’s Carl Corino coached in 12 county finals and led his team to the Final Four 16 times. 15-The highest scoring final occurred in 1992, when Livingston and Bloomfield combined for 14 runs. Cedar Grove and Belleville collected 13 runs in the ’84 title game. 16-Only three of the first 36 championship games have gone into extra innings, with Belleville (1989), Mount St. Dominic (2003) and Caldwell (2005) all winning by 1-0 decisions. The 2003 game between Mount St. Dominic and Bloomfield went 11 innings, the longest final on record. 17-Caldwell had one of the most improbable wins, rallying from 2-0 down to stun Belleville, 3-2, in the 1987 final. Caldwell scored all three runs without a ball leaving the infield. The Chiefs had a similar rally in the 2004 county final opposite MKA, once again coming back from 2-0 down in the seventh. Both of those games were at Pulaski Park. 18-Luann Zullo is 3-0 as a head coach in the finals and she’s the only coach to win crowns at two different schools. She won a pair of championships at West Essex (1997-98) before leading her alma mater, Nutley, to the 2011 championship. Ironically, her first championship in ’97 came against Nutley. West Essex won the 1998 ECT final, beating Belleville, 1-0. Head coach Luann Zullo (second from far right) and assistant Sergio Rodriguez (second from far left) are shown here with the team. 19-Livingston coach Jason Daily is 3-0 in county finals. 20-MKA is the only team to beat Caldwell in a county final, doing so in 2002, 4-1, for its second straight title and last to date. Two years later, Caldwell turned the tables and beat MKA, 3-2. 21-Livingston and Belleville had quite a rivalry in the 1980s. The schools met three times in a county final (1982, ’85 and ’89), with Belleville winning twice. In 1982, Livingston rallied from 4-0 down to stun Belleville, 6-4, in a state sectional semifinal. Five days later, the two met again for the county championship and Belleville won, 8-0, for its first ECT crown. A generation later, the two met in the 2001 county tournament, with Belleville prevailing by the mercy rule. A few weeks later, the teams met in the state sectionals, with Belleville winning a close 3-1 contest, en route to a sectional championship. The following year, Livingston went to Belleville in a sectional and won. 22-Newark Academy made it from the play-in round all the way to the ECT semis in 2012, the first school to accomplish that feat. It stunned second-seeded and defending champion Nutley in the first round, 6-4, then defeated Caldwell in the quarters before losing to Mount St. Dominic. 23-It’s not often that sisters play against each other in a county tournament, but it happened in the 2011 championship game when Nutley, led by Eileen Purcell, defeated Mount St. Dominic, 3-0. The Mount’s junior catcher that year was Jamie Purcell, Eileen’s twin sister. Both girls are now playing on the collegiate level, at different colleges. This year, there could be a sister matchup in the semifinals if Mount St. Dominic and West Essex get there. Olivia Gemma is a senior for the Lions while her sister, Madison, is an up-and-coming freshman for the Knights. 24-From 1993-1997, the final score of the championship game was 2-1. 25-Mount St. Dominic’s four runs in last year’s county final was the most by a team which didn’t win the title during this century. With a busy week coming up in Essex County softball, last Saturday’s Mount St. Dominic Invitational was a nice time to see the local teams playing schools from outside of Essex. Livingston, which remains No. 1 in the FMTC Essex poll, split two games, dropping its first contest of the season to Pequannock, 4-3, before coming back to defeat Caravel Academy of Delaware, 6-3. The host school looked really good, defeating Pennsbury of Pennsylvania, 10-0, then blanking High Point, 4-0, as freshman Kelsey Oh outdueled perhaps the best pitcher in the state, Ally Frei. It’s hard to really grasp the meaning of an in-season tournament. For the kids, it’s a nice opportunity to see some unfamiliar faces, since the Essex circuit is a grind, with the Super Essex Conference and Essex County Tournament games taking up a bulk of the season. On the other hand, since a lot of the kids play summer ball, they’ve gotten to know a lot of different players. Livingston’s Sammi Rothenberger was telling me she played with a few of the High Point kids, including Frei. Anyway, playing two games, on a Saturday, provides a different dynamic than the usual game after school, and that was the case at MSDA. But it was an excellent day at the Mount, with good weather, great food and camaraderie among the parents, players and fans throughout the day. Mount St. Dominic and Immaculate Heart Academy both run nice early-season tourneys, with MSDA and Livingston competing in both, and doing a good job overall, with a 5-1 combined mark in the respective tourneys. Livingston coach Jason Daily, who always says he never forgets the losses his team endures (and there aren’t many), was pleased with the way his team bounced back after losing its first game. “We’re still working on a few things defensively,” said Daily. “We had some lapses on defense in the Pequannock game and you can’t do that against a team as talented as they are. We helped ourselves with some pick off plays in the field, but that was a game we eventually hurt ourselves in by not playing with the same focus we’re accustomed to. When the Lancers needed a boost in its game against Caravel, it got it from Seattle Slew, (Kylie McLaughlin), who laced a two-run triple in the bottom of the fifth to give her team a 4-3 lead. Sammi Passeri continues to pitch well for Livingston (8-1) and the Lancers’ defense was much better in its second game of the day at MSDA. And let’s not forget the tremendous defense and timely hitting by junior catcher Marina Lombardi of Livingston.This kid can flat out play. 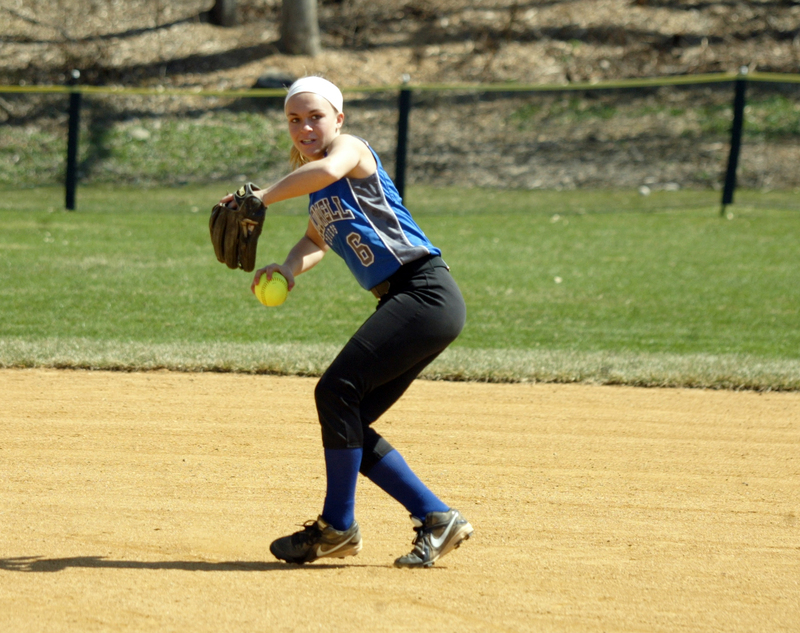 The Lions of MSDA were dominant in its two games, including a 5-inning win in the first contest against Pennsbury. But it was the second game, where Oh and Frei met up in a much-anticipated pitcher’s duel, which had the fans buzzing. Oh fanned 12 and walked none. Frei, for her part, was outstanding with 15 strikeouts, but her defense made some key mistakes which accounted for a pair of MSD runs in the sixth inning. Ally Dabroski had a huge double, when she laced a long drive which hit the fence on a hop to drive in a pair of runs in the third inning. Nutley and Bloomfield both won a pair of games at the Linden Tournament on April 19. With the upcoming Essex County Tournament seeding meeting set for April 22, it will be interesting to see who gets the seeds from 4-8. Speaking of Nutley, I just have to say, one more time, the umpires who worked the Raiders’ game with River Dell last week at Ivy Hill Park, STUNK ! YOU 2 MEN WERE AN EMBARRASSMENT. YOU SHOULD BE ASHAMED OF YOURSELVES AND TO ACTUALLY GET PAID FOR THAT DISASTER IS A BIGGER DISGRACE. ONE MORE TIME, THE TWO UMPIRES WHO WORKED THE NUTLEY-RIVER DELL GAME LAST WEEK STUNK !!!! The top three seeds are pretty much set, with Livingston, Mount St. Dominic and West Essex expected to go 1, 2 and 3, but after that, it’s going to be interesting to see what the committee comes up with. A lot of teams are bunched together in the middle of the Essex County pack. The results of games on April 21 and 22 could go a long way to break the log jam at Tuesday’s seeding meeting. West Essex may be one of those teams no one wants to play in the ECT, as well as conference games. The Knights have won four straight, starting with a win over Ridgewood last Sunday, which was keyed by Madison Gemma’s first varsity hit. West Essex will face Livingston on April 24 and Mount St. Dominic the following day. The game with MSD will be interesting, since Gemma’s older sister, Olivia, is a key player for the Lions. The Knights have been paced by a host of talented freshmen, including Gemma and pitcher Canonero II, (Samantha Huetter). Also doing a great job have been Bridget Betley, Kelly Cousoulis, Kate Jencarelli, Rose Pezzuti, Kim Shaw and Jenna Saluce. As for Tuesday’s seeding meeting for the 37th Essex County Tournament, still thinking Nutley would be the 4 seed, but after that, good luck. Columbia dealt Bloomfield its only loss, Bloomfield edged Verona, Verona defeated Cedar Grove and Cedar Grove beat Caldwell. And while they’re not in this week’s top 10, don’t discount Newark Academy, which gave Livingston a great game the other day before losing a 3-2 decision. 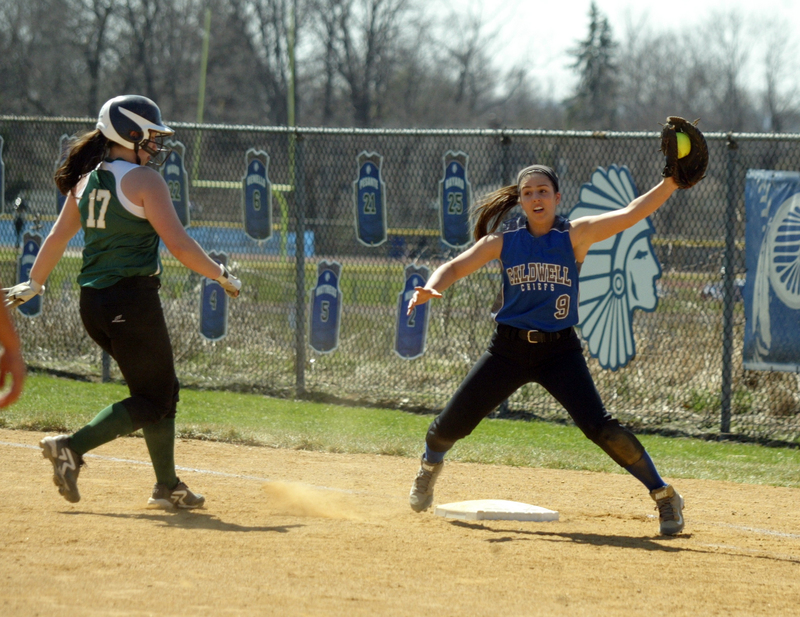 It’s hard to believe Montclair Kimberley had only played four games through last Saturday, but coach Jess Sarfati’s team was 2-2 heading into a game on April 21. MKA, Montclair, West Orange, Newark Academy, Belleville and Millburn will probably garner seeds from 11-16, in no particular order. And there will be some teams from the third division of the SEC which could be in the mix, too, from 11-16. Look for a host of play-in games, perhaps with some teams playing twice in play-in contests, before the tourney hits the first round of games. Newark Academy actually made a big time run as a play-in team a few years back. The committee will have plenty to talk about on Tuesday, for sure. Anyway, here is what I have for the weekly Top 10. 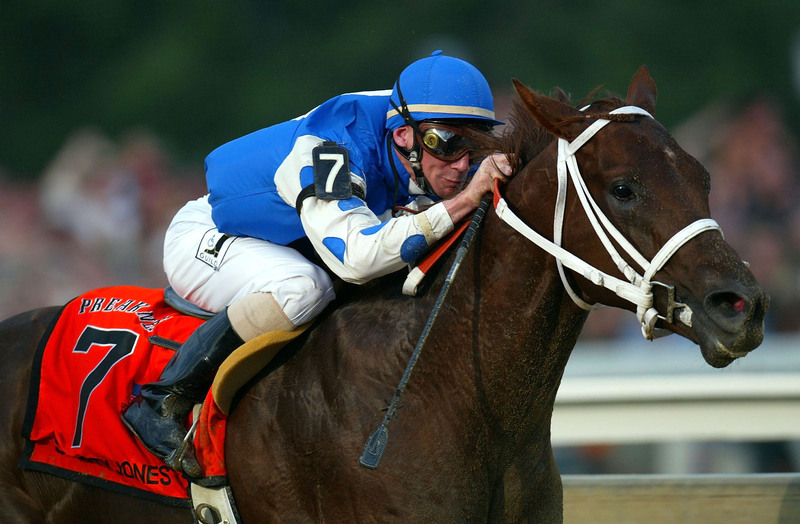 STUD WATCH: No new stud names to add this week in Essex County. Here’s the updated list. It appeared to be a routine play in a game seemingly out of hand. During the sixth inning of the Caldwell at West Essex softball game on April 14 in North Caldwell, West Essex’s Kate Jencarelli hit a hard grounder which seemed destined for a single past second base. West Essex was already leading, 6-1, and had the bases loaded, with one out. When the ball left the bat, it appeared to easily be a two-run single. Instead, Jencarelli’s shot was fielded on a hop by second baseman Casey Ward, who, without flinching from the back hand, threw the ball to shortstop Gianna Genello, who tagged second base for the force. Caldwell shortstop Gianna Genello has outstanding range. But it gets better. Genello, in a single stride after hustling to cover the bag, and a little off balance, threw the ball to first, where it short hopped in front of first baseman Val Murphy, who made a perfect swipe of the ball. The play almost seemed routine for the three Caldwell players. Had Jencarelli not been hustling, it would have been a magnificent double play, but she was safe at first. A run scored, but the inning ended when the next hitter popped up. Casey Ward’s reliable glove at second base solidifies a solid Caldwell defense. Caldwell lost the game, 7-1, but that kind of athleticism and determination in the infield has to be an indication that Caldwell, one of the most successful high school softball programs in Essex County over the past 30 years, may be getting close to making a move in the ultra competitive American Division of the Super Essex Conference (SEC). West Essex coach Andrea Mondadori was impressed. Caldwell was 3-4 following the loss to West Essex. It had also lost to powerful Livingston, Mount St. Dominic and Nutley, clearly the best teams in the American Division, along with arch rival West Essex. The Chiefs have wins over Holy Angels, West Orange and New Providence. SEC games with Cedar Grove and Montclair are on tap for later this week, as well as an appearance at the Mount St. Dominic Invitational on Saturday against Raritan. Caldwell coach Mike Teshkoyan has been at the helm since the later days of the Reagan Administration. He is Essex County’s all-time wins leader for softball coaches and ranks among the top coaching records in New Jersey. He is closing in on 600 career wins (he should reach the mark this season) and has guided the Chiefs to eight of its record 10 Essex County Tournament championships. And while he’s had plenty of success, he appreciates the teaching aspect of the game. Junior pitcher Cayla Lombardi is back in the circle, where she belongs, for Caldwell. At the plate, Genello is almost impossible to get out. The team’s leadoff hitter, she is considered a slap hitter from the left side of the plate, with outstanding speed. 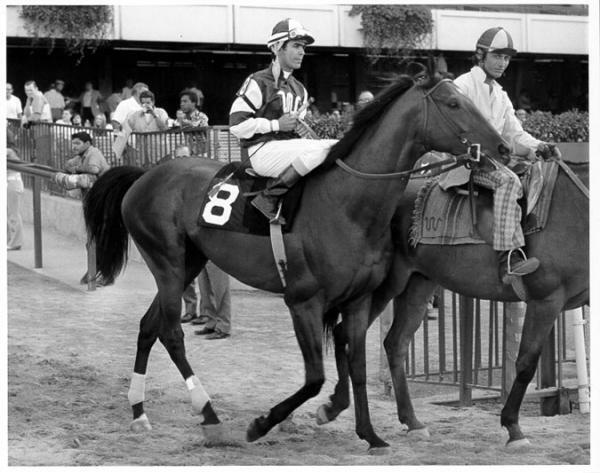 The term ‘Smarty Jones’ applies to her, since she’s a stud player, similar somewhat in style to Livingston’s Kylie McLaughlin, AKA Seattle Slew, albeit with a little less lower power to the opposite field than ‘Slew’. Nevertheless, Genello is on a pace to shatter records for hits at Caldwell. With Lombardi back in the circle after an injury kept her on the sidelines for most of 2013, Caldwell could be a tough out as the season progresses. “We should be a more experienced team during the second half of the season, and into the (county) tournament,” said Teshkoyan. Livingston continues to hold the No. 1 ranking in the FMTC Essex County Softball poll. The Lancers improved to 5-0 on the season heading into this week’s action. While Livingston remained at the top, there were some changes in the Top 10, so here goes. And keep in mind, the rankings aren’t a perfect science, especially in the early going of a season. 1-Livingston (5-0) Lancers defeated Mount St. Dominic, 7-2 and Caldwell, 7-1, last week. 2-Mount St. Dominic (6-2) The Lions were in Ohio this weekend for the Wendy’s Classic and fared well, winning two of three. 3-West Essex (3-3) The Knights blanked Nutley for its first win over the Raiders in four years. West Essex also had a big victory over Ridgewood to close out the week. 4-Nutley (3-2) Strange week for Raiders, who lost to West Essex and Cedar Grove before a win on Saturday against St. Dominic of Jersey City. 5-Columbia (3-1-1) Cougars have impressive wins over Bloomfield and Newark Academy in the early going. 6-Bloomfield (3-1) Bengals bounced back from a loss to Columbia by edging Newark Academy. 7-Verona (4-2) Hillbillies have been solid so far, including a 10-4 win over arch rival Cedar Grove. 8-Cedar Grove (4-5) Panthers surprised Nutley on April 11 and split two games at their annual tournament the following day. 9-Glen Ridge (4-2-1) Ridgers have been solid thus far, with a win over Newark Academy and Millburn last week. 10-Montclair (3-3) Mounties had a good win over Cedar Grove. A game with Nutley on April 14 will be interesting. 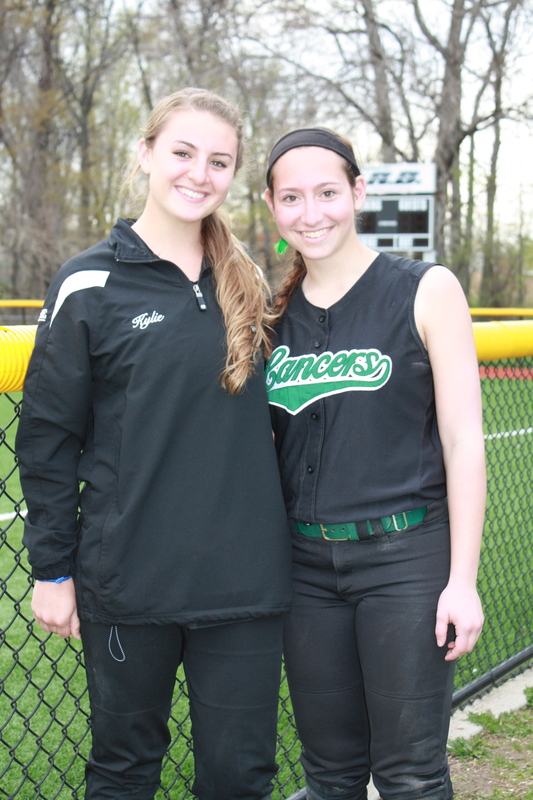 New studs in the paddock: Livingston shortstop Sammi Rothenberger is now ‘Riva Ridge’ in the FMTC softball stud watch and West Essex’s Samantha Huetter, a pitcher, is dubbed ‘Canonero II’. 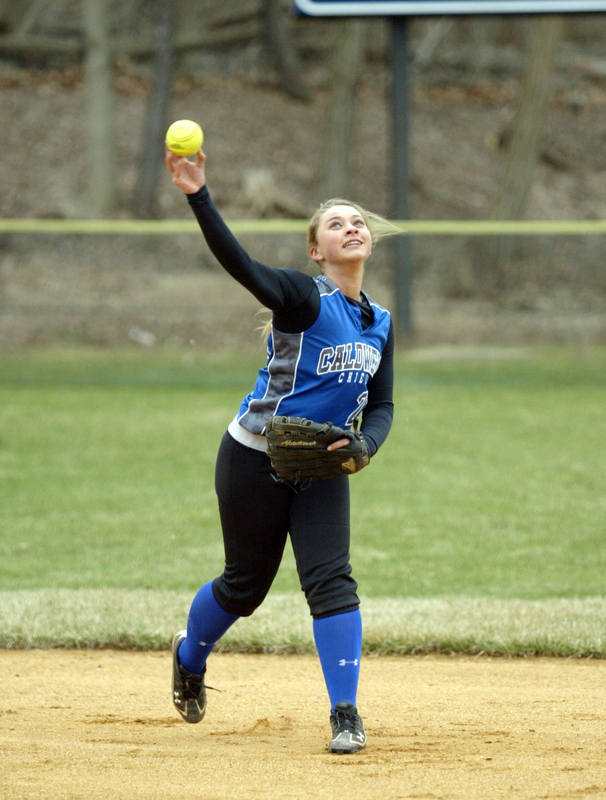 Caldwell shortstop Gianna Genello got the ‘Smarty Jones’ name. Genello is an outstanding leadoff hitter for the Chiefs, a team that could very well be among the top 10 soon. The Mount St. Dominic tournament is this Saturday, with the host school and Livingston representing Essex County in the highly competitive tournament. There should be some tremendous games at the Mount on Saturday, with some of the better schools in New Jersey and out of state, playing. Here is the MSDA tourney schedule for Saturday, April 19. There are two fields on the school’s campus where the games will be played. Lodi Immaculate vs. Caravel (Delaware), 8:30 a.m.
Pequannock vs. Livingston, 8:45 a.m.
Mount St. Dominic vs. Pennsbury (Pa.) 10:30 a.m.
High Point vs. Paramus Catholic, 10:45 a.m.
Caravel vs. Livingston, 12:30 p.m.
Lodi Immaculate vs. Pequannock, 12:45 p.m.
Mount St. Dominic vs. High Point, 2:30 p.m.
Pennsbury vs. Paramus Catholic, 2:45 p.m.
Raritan vs. Caldwell, 4:30 p.m.